Trigger Pull: The trigger pull on the Umarex Beretta APX Blowback CO2 BB Pistol is a little different than that of the real steel APX. On the real steel APX there is actually a trigger safety and the actual gun uses a striker based system with a fairly short reset and take-up. On the replica airgun version the tiger does not have a built in safety and the reset and take-up are much longer (full length). I have read that both the real steal and BB versions of the APX both have about 6 pounds trigger pulls but I personally felt like the airgun version was heavier than that, perhaps because of the long pull. 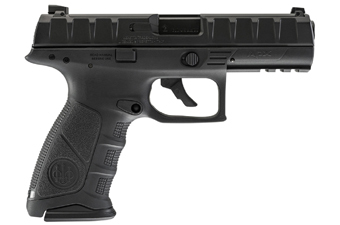 Overall the Beretta APX trigger is acceptable but not my favorite. Accuracy: I have not shot this pistol, but based on similar blowback stick magazine BB air pistols from Umarex with around 400 FPS performance, I know that it will have a medium blowback feel and should shoot pretty close to the claimed 395 fps. I also expect at least a 2 inch or smaller 10 shot grouping from 30 feet back. 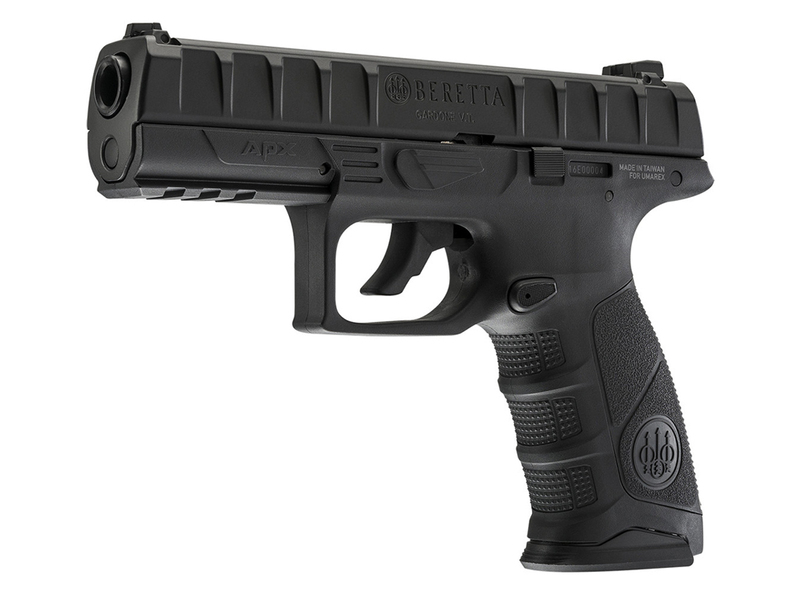 Build Quality: Very good, Beretta APX feels heavier than 1.5 pounds in the hand, perhaps because it is a compact gun. The metal slide, metal stick mag and internal metal parts all help to balance off the polymer frame nicely. Fit and finish is also good. 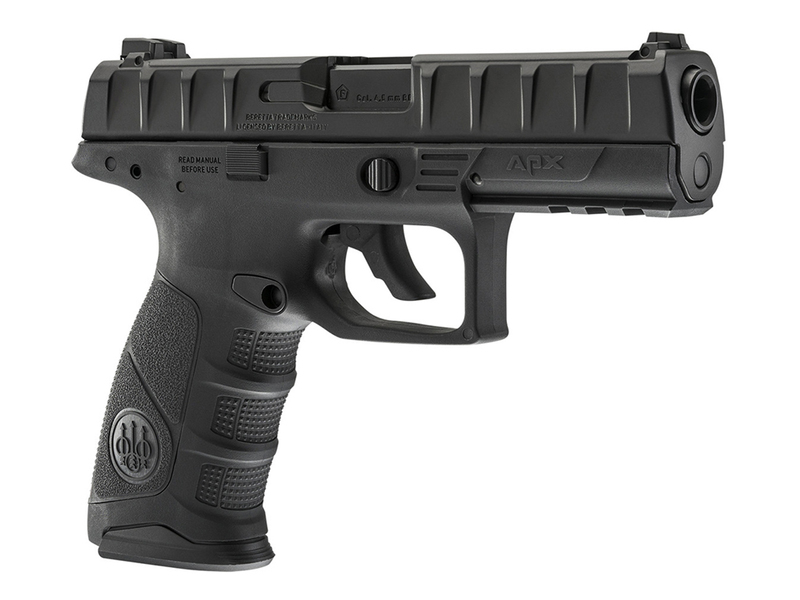 Realism: Other than the added safety and missing trigger safety, this is a really close replica to the real steel APX. The added safety does not stand out too much and does serve a purpose. The missing trigger safety could have been added for show at least, if an actual working safety could not be added. 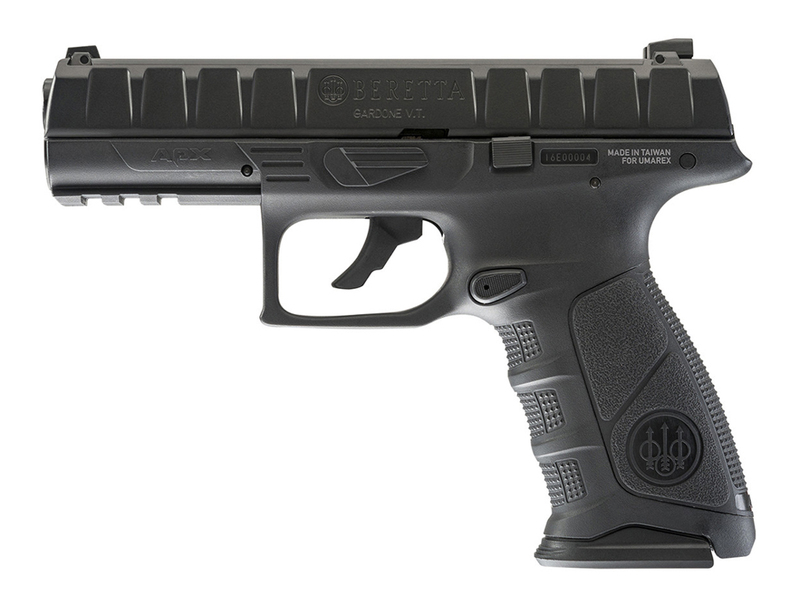 Other than that the Umarex Beretta APX CO2 Blowback BB Pistol is very close to the Beretta APX, with its full licensing, open ejection port, recessed barrel working slide catch release and blowback operation. Comments: It's always nice to get another airgun replica for fans of that particular real steel gun so they have a low cost shooting option they can use in a lot more locations for some safe trigger time. 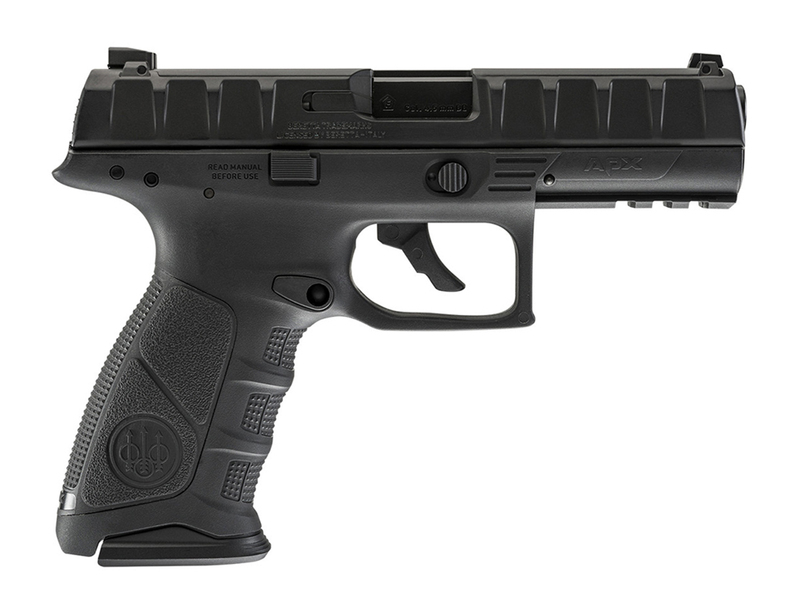 The Umarex Beretta APX Blowback CO2 BB Pistol is a great addition for sure and it's also nice that it is somewhat Glock-like in looks and operation for those Glock fans out there that are having a tuff time locating a Glock airgun replica :) Other than my trigger beef, I really like this gun. It's always nice to get another airgun replica for fans of that particular real steel gun so they have a low cost shooting option they can use in a lot more locations for some safe trigger time. The Umarex Beretta APX CO2 Blowback BB Pistol is a great addition for sure and it's also nice that it is somewhat Glock like in looks and operation for those Glock fans out there that are having a tuff time locating a Glock airgun replica :) Other than my trigger beef, I really like the Umarex Beretta APX CO2 Blowback BB Pistol. I hope it performs as good as it looks when I do my field test shooting video in a bit.